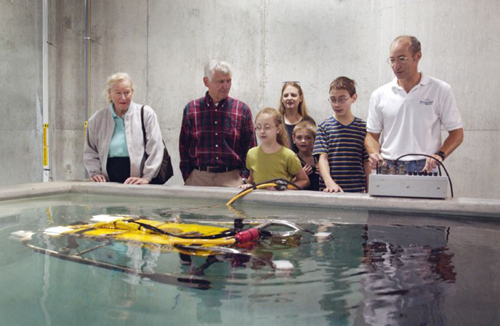 The Electronics Shop works closely together in support of research and teaching functions carried out by the UConn marine enterprise. The shop is staffed by one electronics engineer (now the same person as the Research Operations Manager). Personnel design, build, and test prototype equipment. They also repair and maintain a wide variety of equipment installed in the Marine Sciences Building, vessels, research and teaching laboratories, and remote field locations. The Electronics Shop also builds many one-of-a-kind devices to support a wide variety of research projects conducted by UConn faculty, students and staff.